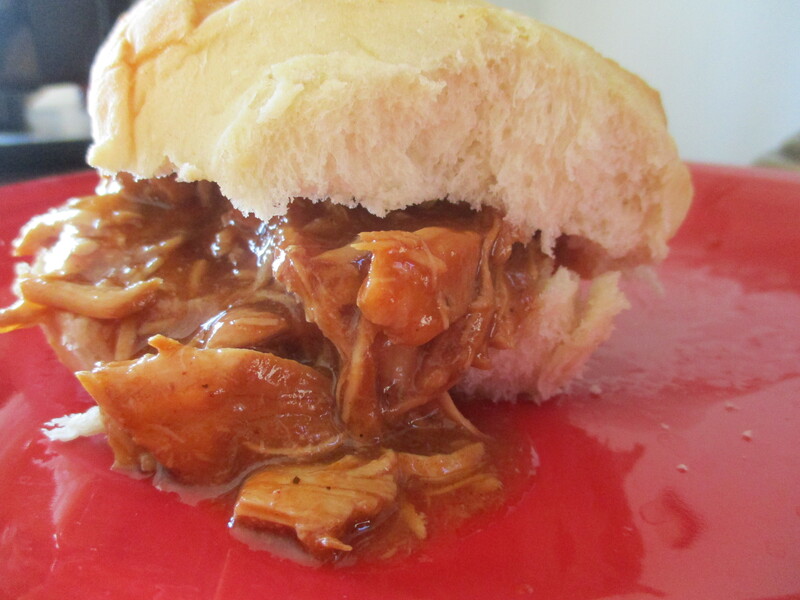 These easy bbq chicken sandwiches are a go to meal for us on busy weekends. They are simple and hearty. Place the chicken in a pan on the stove. Bring to a boil and then cover and let this simmer until completely cooked. I leave mine for a couple of hours to soak in the flavor. Remove the chicken to an ovenproof dish and let it cool slightly so you can work with it. I use a fork and butter knife to hold the chicken in place and gently shred it. Place the chicken back into sauce and stir. Serve over buns.